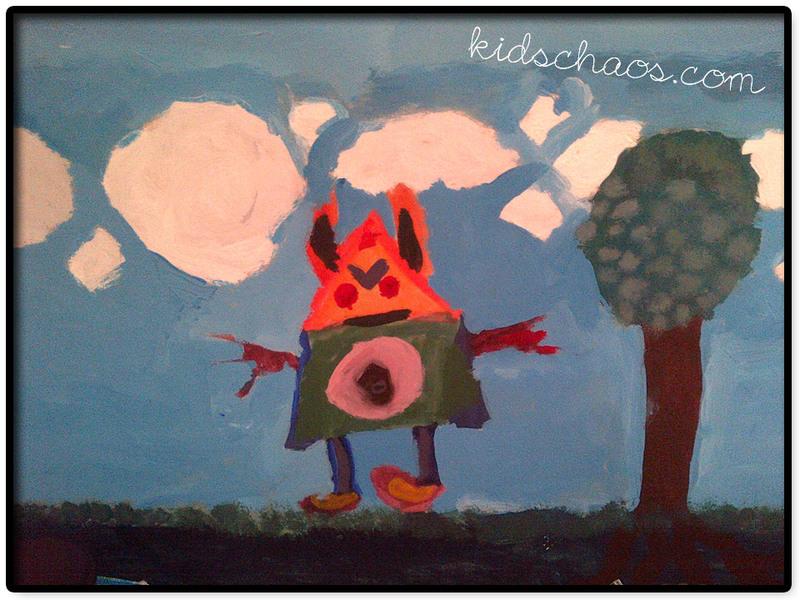 KidsChaos.com - Page 17 of 18 - Because life with kids is pure chaos. You’ll need some sticks (!) from the garden, or as we do, collected on weekend walks by small children. Some black card, sellotape, a pencil, scissors and some ‘brads’ (the pins with bendy legs, I never remember what their name is!) Oh, and some coloured tissue paper or sweet wrappers. 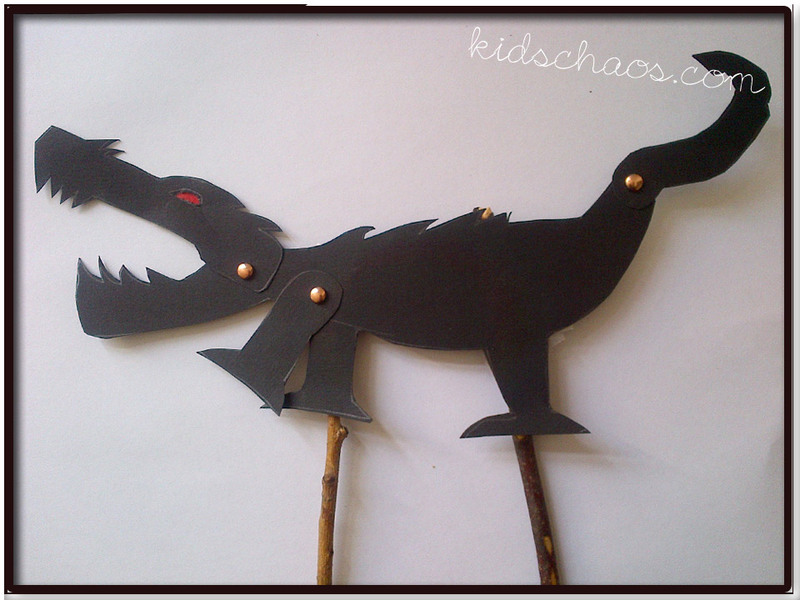 AND a torch if you fancy doing a shadow puppet show! We drew the dragon ‘pieces’ out onto the black card – cut them out, and joined them together with the brads (we used a bit of plasticine behind the card, and pushed a pencil through to make the hole for the brad). Attach the sticks with tape at the back and you’re ready to go! You’ll need a couple of characters for the shadow puppet show – standing behind a large white sheet – we dimmed the lights, shone the torch and tried them out. We made up some short stories for our characters and put on a fun silhouette show!! 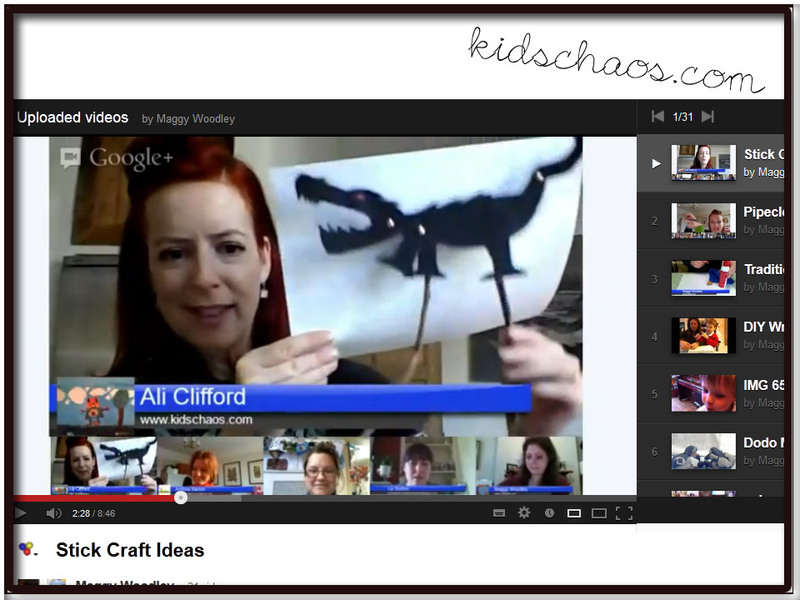 Click the YouTube link to view the Google+ hangout hosted by Maggy Woodley from Red Ted Art and meet me Ali Clifford at the Stick Craft hangout with Anthea Barton from Zing Zing Tree, Kelly Innes ( Domestic Goddesque) and Liz Burton. Every birthday, every Christmas, my lucky children receive new toys, new books, new STUFF – we have a rule of one in – one out, and it is SO hard to stick to! Our lucky neighbours have slightly younger children than us, so they receive frequent hand-me-downs, and we are so grateful to them for allowing us to recycle our toys quickly and locally! This fabulous invention, the Espresso Mushroom Kitchen Garden has been the talk of our kitchen – This little ‘garden’ uses recycled coffee grounds and we grew our own oyster mushrooms in just two weeks. Both kids have really enjoyed the experience of spraying the mushrooms with water, and rushing in from school to see how they’ve grown. 8yo even wrote a recipe (pictured) which we duly followed, when our mushrooms were ready to harvest – fried them up, served with chopped parsley on a couple of slices of toast. De-Lish-ious…. We had been talking to Alex at Espresso Mushroom about just how much we wanted to tell the world about their mushrooms, and have joined forces with them and our friends at Cafédirect to offer you the chance to win this fab prize. We have some tasty espresso coffee from Cafédirect and an Espresso Mushroom Kitchen Garden gift voucher, so you can WIN and grow your own Pearl Oyster Mushrooms – it’s such fun! 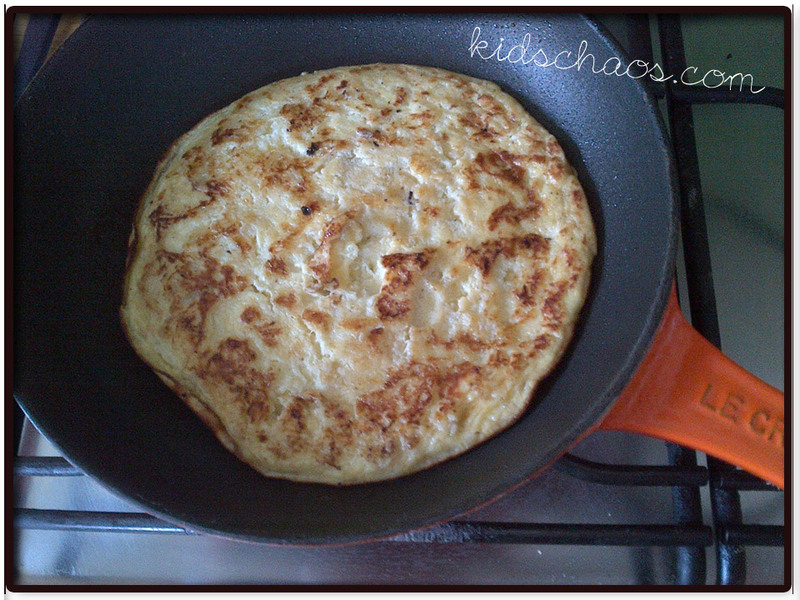 2- ‘Like’ KidsChaos on Facebook and tell us what you’d cook with your mushrooms! and comment below to tell us you’ve done so. 3 – ‘LIKE’ Espresso Mushroom on Facebook and comment below to tell us you’ve done so. 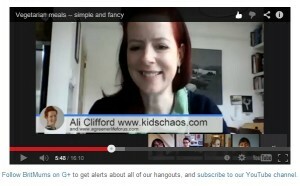 4 – For an extra entry, Add KidsChaos into your circles in Google + and comment below to tell us you’ve done so. 5 – And another add Espresso Mushroom into your circles on Google + and comment below to tell us you’ve done so. 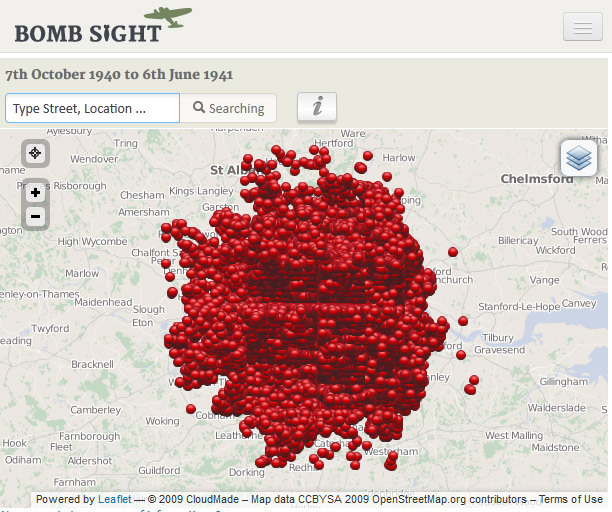 Living in London, we are lucky enough to have a great deal of WW2 history at our fingertips which is useful when you have kids in Key Stage 1 and 2. Can you walk through a hole in a sheet of A4 paper? You’ll know that we are quite fond of creativity and art in our house? We came across this little gem in a book we picked up in a charity shop this week….How to walk through a sheet of A4 paper? You can do it, however tall you are! 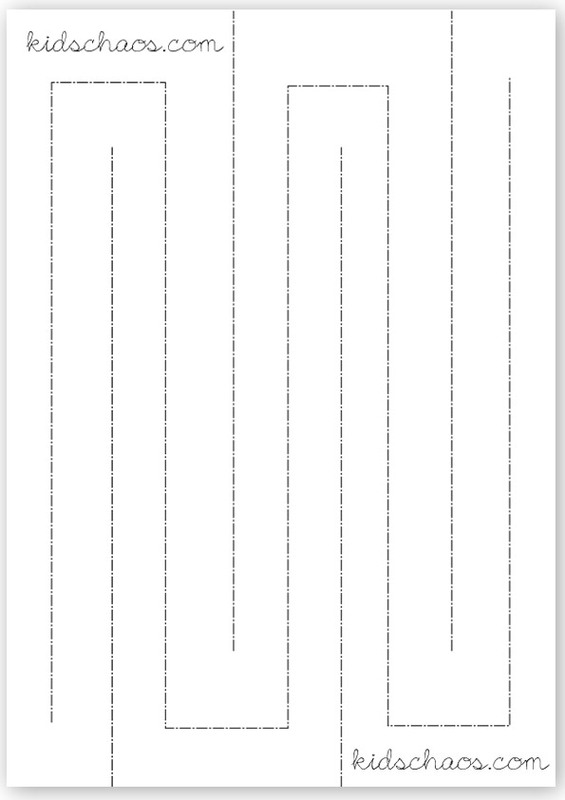 Look at the illustration, notice the dotted lines. 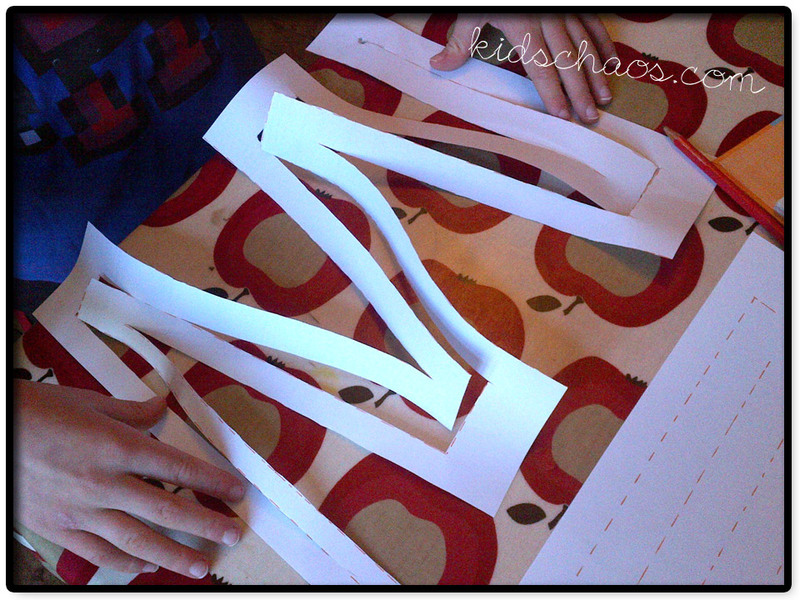 Use a pair of scissors to cut along the lines, and carefully open the big zig-zag hole you’ve just created, and step through it! Oh, and I’m on twitter.com/MoreKidsChaos too… Erm, and funnily enough onGoogle+, Facebook and Pinterest! Pop over to say hello x Like it? Pin it! Are you wild about Britain? Living in suburban London, we are often oblivious to the wildlife that surrounds us, as the traffic rushes by, and we rush to school, late as ever! 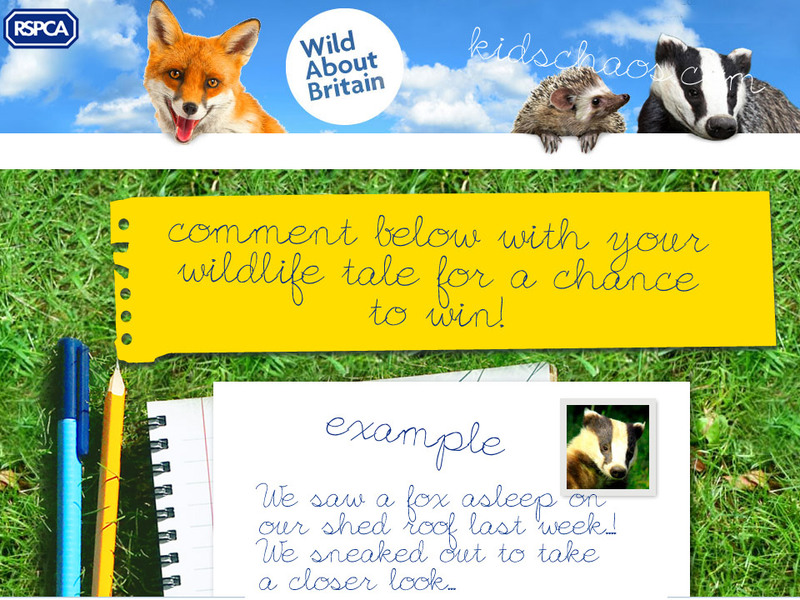 8yo and I have been talking about wildlife a lot since we found out that the RSPCA have launched a new children’s short story competition – called Wild About Britain – as a celebration of British wildlife. 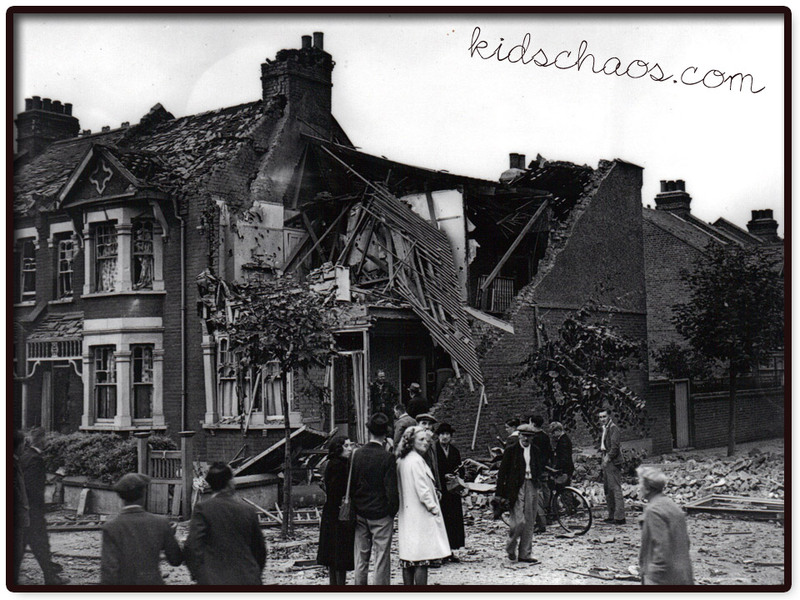 Last week, I had a call from the school at lunchtime, to come and collect 8yo who was pale and poorly… we walked back home together, and away from the noisy main road he was rather reflective, and said ‘It’s so calm – with no car noise, and no-one around’ – so we walked quietly together listening to the songs of the birds, counting four different birds singing and chirping. As we walked into the house, and through to the back he was so delighted to see a fox, curled up asleep in the afternoon sun, on our shed roof! (we opened the back door to take a photo, she saw us and scampered!… shame). What is your best memory of Britain’s wildlife that you and your family have experienced together? The RSPCA would like to encourage families to explore Britain’s wildlife. To inspire families to get involved, the RSPCA want to know what your favourite memories of Britain’s wildlife are. If you know a budding writer it’s their chance to put pen to paper and let their imaginations run wild. From fascinating foxes and heroic hedgehogs to country lanes and woodlands, they want to hear about your experiences. All you need to do is add a comment to this post telling us about your favourite anecdote from Britain’s wildlife. And I’m giving away three RSPCA wildlife Bag for Life to my favourite posts. Here are some weird and wonderful wildlife facts to get you thinking…. Have you ever seen a black fox? Fox cubs are often born blind and deaf with short back fur, they do not normally start to turn red until they are about five to six weeks old! Have you heard a Robin singing in summer? Robins are actually one of the only UK birds to sing all year round. In autumn its song is more subdued and melancholy in tone compared with spring’s upbeat song. Have you witnessed an owl climb? Tawny owlets are able to climb back up into the nest if they fall out. This hopping from perch to perch in trees is called ‘branching’. Children under 16 can also enter their story into the Wild About Britain competition by visiting www.wildaboutbritain.org.uk and you can also tweet using the hashtag #wildaboutbritain. So, this is basically the easiest thing, bung all of the ingredients (300g flour, a tsp of dried yeast, tbsp sugar, 30g butter, 2tbsp milk powder, 1 tsp salt, 420ml water) into the breadmaker at 3pm, go on the school run, come back from school run, break the pizza dough into six pieces, shape into balls. 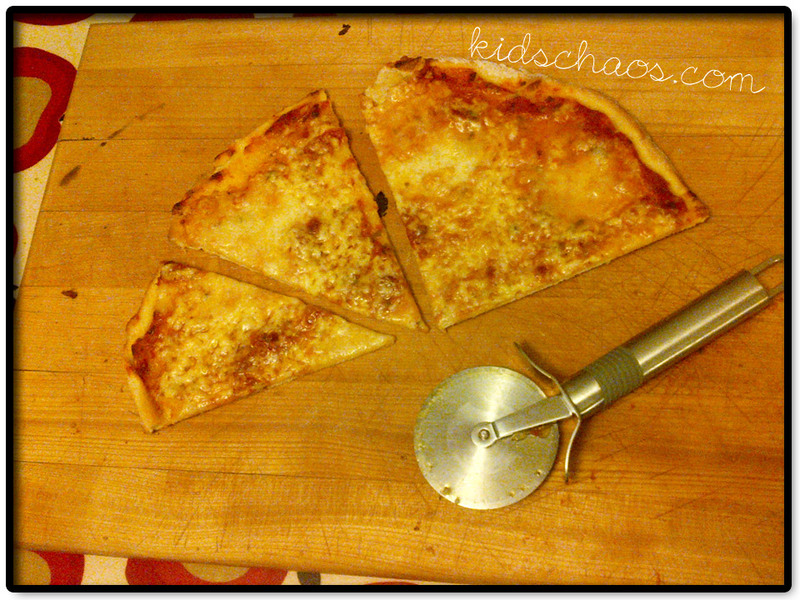 Make three pizza (I have proper pizza bases, nice and thin and crispy) couple of spoons of pasta sauce, rip up mozzarella ball, grated cheese, couple of olives if you’ve got them…. 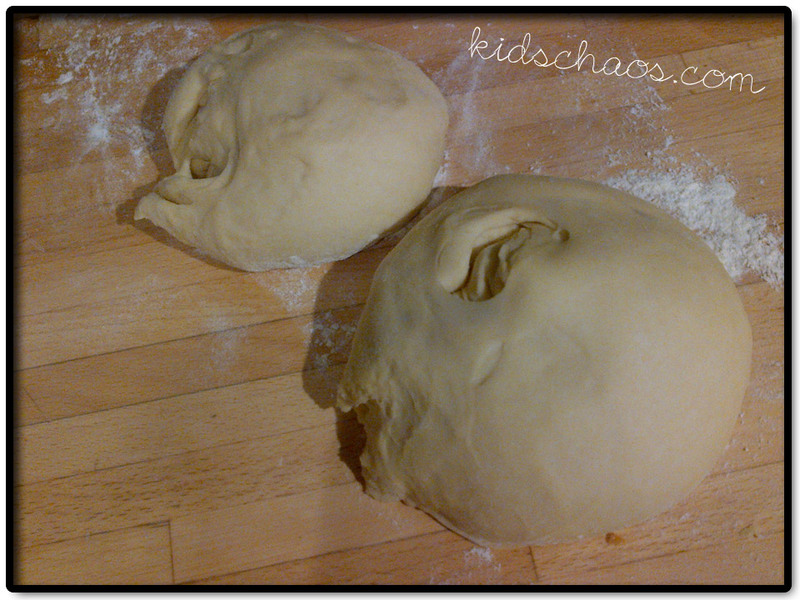 2014 UPDATE for this recipe…. temporary glitch with the breadmaker (it started spewing out black smoke!) so we’ve been experimenting with using flatbreads and wraps as makeshift pizza bases – and these are SUCH a winner – spoon a couple of tomato pasta sauce, mozzarella, a few slices of mushrooms and some grated cheese, and pop in a hot oven for about seven minutes – sprinkle over a handful of rocket, and TOTAL WIN! 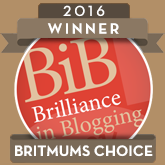 I joined Britmums to talk about vegetarian meals, both simple and fancy – click to watch the google+ hangout above. 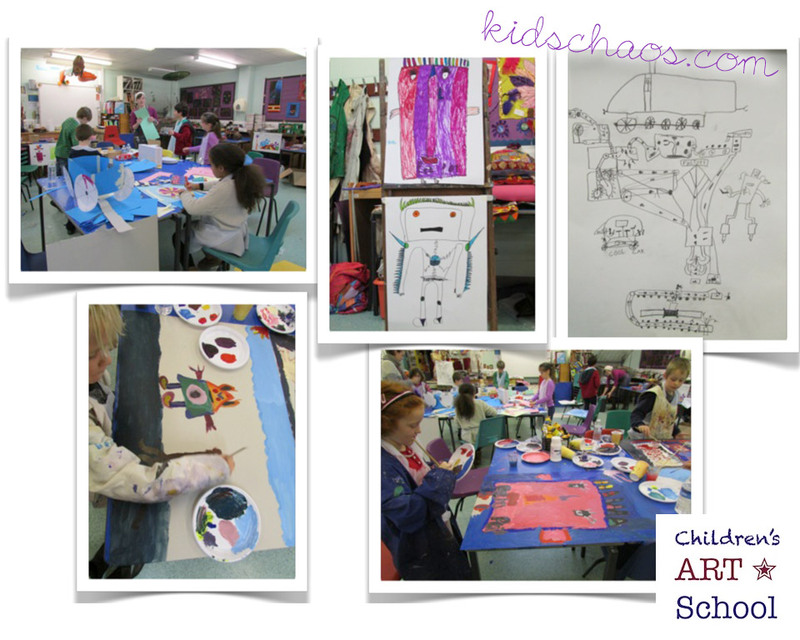 The theme was ‘Objects in Motion’ – They played drawing games, looking at how colour can create and show motion, they made mobiles, and over the second day worked on them further. As the youngest of two very creative children, it was nice for him to be the focus of the artistic attention, and he is so incredibly proud of the work he produced. The venue by all accounts, inspired the children beyond the realms of their usual classrooms, and Katriona, the course leader was both encouraging and fun to work with. There are more of these holiday courses planned for the Christmas break… perfect! So, as these boys have got bigger, so the cakes have got simpler…. 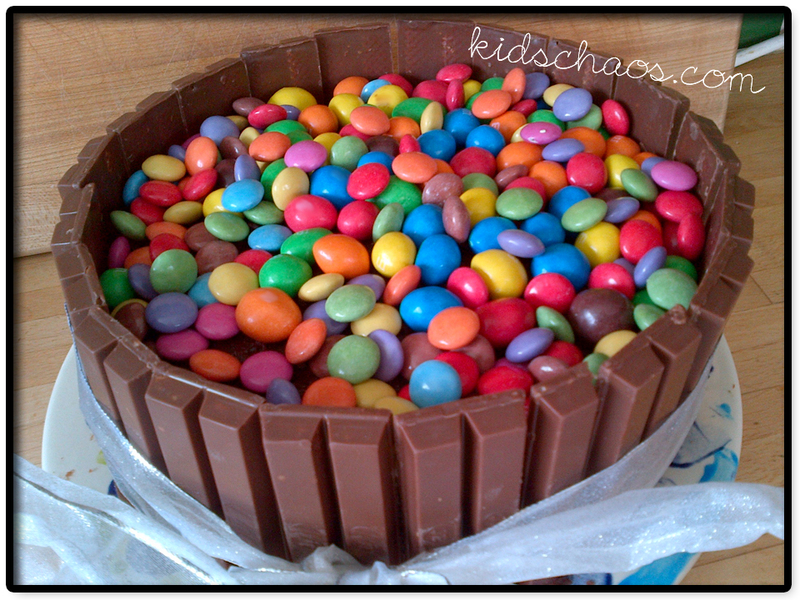 yet… THIS cake has so far been the most popular amongst 8yo’s peers…. “Wow! Your Mum Is AMAZing” apparently, so I will be attempting an alternative version of this next week for 10yo’s birthday sleepover – so, see, I do make an effort, and don’t always BUY the cool cakes that turn up in our house! I thank the invention of Pinterest for the inspiration, such a great place to pull together visual triggers! Other ideas for the top, not so colourful, but we DO like the odd Malteser in our house too, especially now they are Fairtrade! Click here to read more about Laura Dockrill and Maltesers (the calming of the Angrosaurus that is ‘Darcy Burdock’) and for a chance to win a signed book! Click here to read more about CAKE! And Fairtrade Coffee….